If you're searching for a high-quality and capable van for your Westlake small business, consider choosing one of our exciting Mercedes-Benz vans. The Mercedes-Benz Sprinter is a notable choice whether you're in need of superior performance or plenty of cargo space. 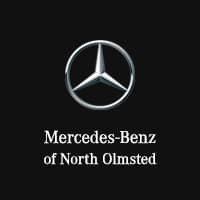 Explore our selection of Sprinter vans for sale in North Olmsted today! From the new Mercedes-Benz Sprinter Passenger Van to the Chassis Cab, there's sure to be a model that suits your needs. You can also browse our Metris van inventory to explore even more options for your business. Once you've found an option that you're interested in, contact us to set up a test drive. While at our showroom, you can take that opportunity to talk with our finance staff about our Mercedes-Benz Van offers, or discuss upfitting options with our parts department.